VAC-TEC LLC provides residential septic tank pumping services. 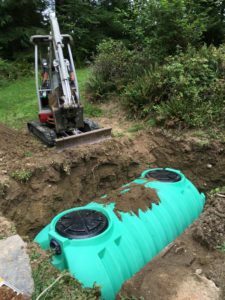 No matter how big or small your system, you can count on us for the best possible residential septic tank pumping solutions in Federal Way, WA. We make commercial septic tank cleaning as easy and hassle-free as possible for our customers. We also offer an emergency commercial septic tank cleaning service in Federal Way. We take great care to clean your tank thoroughly and efficiently. Our commercial septic tank cleaning team will treat your property with utmost care and respect. Our technicians are trained and experienced. We utilize the latest equipment and tools to ensure a top quality commercial septic tank cleaning service in Federal Way and the nearby areas. We appreciate the trust you put in us to clean your commercial septic tank. We will immediately report any problems or concerns to you. Remember: Regular commercial septic tank cleaning is essential to preventing costs and inconveniences that come with septic tank problems. 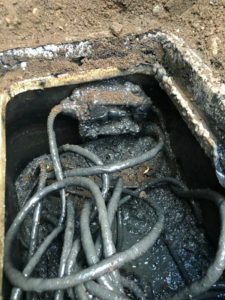 Do not overlook the importance of a routinely cleaned tank. For years, we have offered prompt and reliable commercial and residential septic tank pumping and cleaning services in Federal Way and the surrounding areas. On average, we recommend residential and commercial septic tank cleaning every 3 to 5 years. The frequency depends on the size of the tank and the level of usage. Slow running toilets, sinks, bathtubs, etc. Call us for commercial and residential septic tank pumping & cleaning in Federal Way. We are available 24/7 for any emergency calls. For commercial and residential septic tank pumping in Federal Way, VAC-TEC LLC is the name to remember. For any questions or appointments, call us at (206) 339-0039.